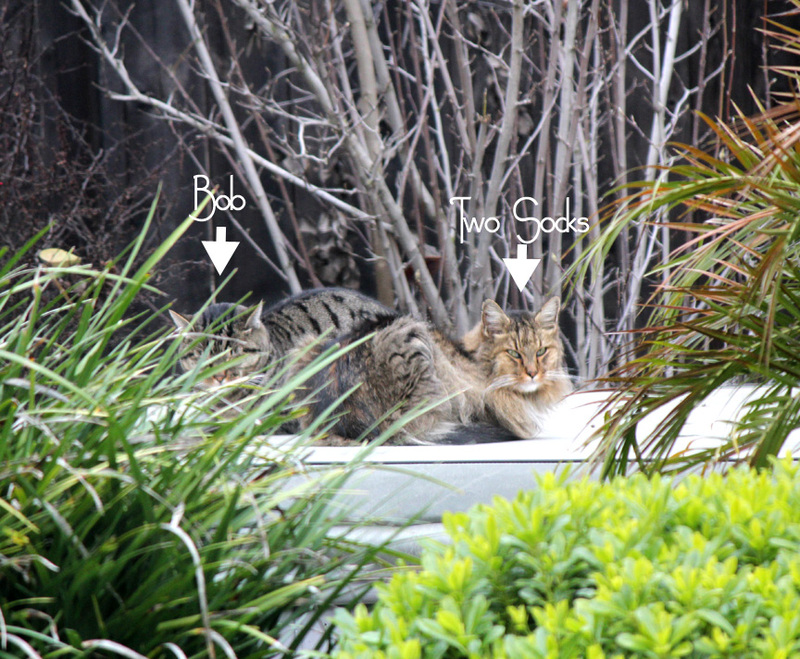 This morning when I looked out the window, I saw my two kitties all cuddled up on top of the spa. Usually when it’s a nice sunny morning….you’ll see the kitties out there soaking up the sun. This morning, it was foggy…and no sun….and just plain yucky! It made me giggle to look out there and see those two “waiting” for momma to get up to feed them! So I had to quietly get my camera out….those two have EXCELLENT hearing….I got the zoom lens for my new camera…and took this picture before they were any the wiser! I then moved to the bedroom; previous picture was taken from the LR…and I tried to quietly open the blinds where I could get a better, unobstructed view….but Two Socks heard me and picture moment passed! So that’s Bob behind the plant…and Two Socks to the right. Love my babies! Click to enlarge the photo. This entry was posted on Friday, January 28th, 2011 at 2:54 pm and is filed under Uncategorized. You can follow any responses to this entry through the RSS 2.0 feed. You can leave a response, or trackback from your own site.